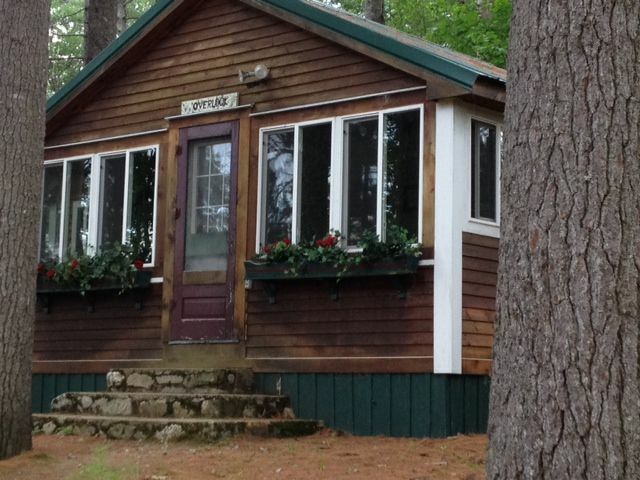 Beautiful lakeview and calm wooded surroundings provide for a relaxing vacation. Lake access is a short walk (10 min./.4mile) to public beach with lifeguard and boat ramp. 10 minute drive to North Conway shopping area. 20 Minute drive to Storyland, Saco river and hiking trails. 15 minute drive to Cranmore Ski Mtn, 20 minute drive to Attitash/Bearpeak Ski Resort, 30 minute drive to Brettonwoods Ski Resort. Book early to visit Fryburg Fair, view beautiful folliage . Security deposit to be returned after inspection : Security deposit to be returned after inspection by owner. Great for couples, families with young children. Walk to beach. Canoe on lake or river. Fishing. Mountain climb in White Mountains. Visit Storyland. !0 Minutes drive to Fryburg Fairgrounds. Escape from the city. With no WiFi and the usual distractions this was ideal. Get back to basics and enjoy the surrounding. This place is a must stay if looking to be close to the white mountains! Cottage had pretty much everything we needed to live comfy and cozy. Couldn't have asked for anything better in my opinion. Even had a beautiful fireplace that made evenings that much better! Very spacious and also had a great kitchen to cook in. Thanks for allowing us to stay in your lovely home! My family and I stayed at the Overlook recently and I must say I already can’t wait to go back! The cabin itself was very clean, cozy and convenient! My three children had such a great experience and there were plenty of board games and other games for our family to play together, the fireplace was awesome and the outdoor surroundings were beautiful! I can’t wait until my family can experience another stay at the Overlook, only this time in the summer so that we could enjoy the beautiful lake that this cabin sits on. I highly recommend this cabin ! Was awesome! We loved it! We had a great time! We loved the cottage and would def stay again! Thank you!!! We had a great time in this cozy, clean cottage and loved the fireplace. We totally unplugged for 3 days and spent equal time in front of the fire and hiking on nearby trails (Champney Falls and Diana's Bath) that don't require a lot of winter hiking gear. Full kitchen is very convenient. Highly recommend! My husband and I were looking to get away, unplug and relax. This cabin did not disappoint. We fully enjoyed the stone fireplace while watching the snow fall and ventured out for some sightseeing. The Cabin in in a great location and close to many activities, including our favorite restaurant Moat Mountain. We were pleased with how clean the cabin was and all the amenities provided. Donna and Steve, thank you for sharing your home with us. Bring your own boat. Boat ramp nearby.